If they can't beat you, they might buy you. That may be the takeaway for physician business executives from HCA's proposed acquisition of a Texas specialty hospital with physician investors. Just six weeks after St. David's HealthCare acquired a major cardiologist practice, that joint venture of HCA and the not-for-profit St. David's Foundation announced that it was purchasing 58-bed Heart Hospital of Austin (Texas) from MedCath Corp., Charlotte, N.C., and physician investors. 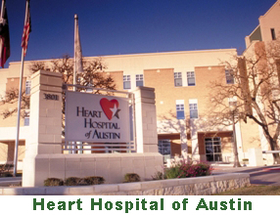 Those investors include Austin Heart, the cardiology practice that the St. David's partnership acquired on Dec. 31, 2009. Georgetown (Texas) Healthcare System is also a St. David's HealthCare partner. St. David's agreed to pay $83.6 million for the hospital, according to MedCath, which owns a 70.9% stake in the hospital. Physician investors own the remaining 29.1% stake. HCA, the nation's largest for-profit hospital chain, has been a long and vocal opponent of physician ownership of specialty hospitals and has lobbied hard for a federal ban or significant restrictions on physician ownership. But, the latest push for a ban or restrictions has stalled along with the healthcare reform bills passed by the House and Senate. Consequently, buying up a physician-owned competitor may be the next best option. For the St. David's partnership, Austin Heart's interest in clinical and financial integration meshed well with the partnership's emphasis on cardiovascular care, says Jon Foster, president and CEO of the partnership. Austin Heart includes 47 physicians at locations across a wide geographic area that complements the partnership's six hospitals and other facilities, Foster says. “We don't have the capacity at our hospitals to accommodate all of the Austin Heart patients,” Foster says. In the Austin Heart deal, St. David's took on the 300 nonphysician employees of the practice, and also formed a new not-for-profit corporation to employ the physicians, as required by Texas law, Foster says. St. David's is the sole member, or owner, of this organization, but only physicians can sit on its board, and they control all employment and clinical matters, again as required by the state law, Foster says. Austin Heart physicians will continue to practice at other hospitals, too, including the competing Seton Family of Hospitals, the Austin system that is part of Ascension Health, St. Louis.